Portraits - The Blazing Mr Sam is a new perfume by Penhaligon's for men and was released in 2018. The scent is spicy-woody. It is being marketed by Puig. I have to admit, Penhaligon´s has captivated me with this family history. Mr. Sam, a proud, self-confident new rich man, enters the noble house, begins a love affair with the young Duchess Rose and fits like a bull into a porcelain shop or even into the ducal gallery of ancestors. For me the character is well implemented. Mr. Blaze is there right away, not quietly stepping, not reserved, yet charming and not still....Winter spices are sharpened by pepper and enter into an interesting composition with a relaxed wood note. I also like the tobacco breath, no burnt ashtray, no cold smoke, rather noble flavoured tobacco mixture from the Bruyere-pipe. 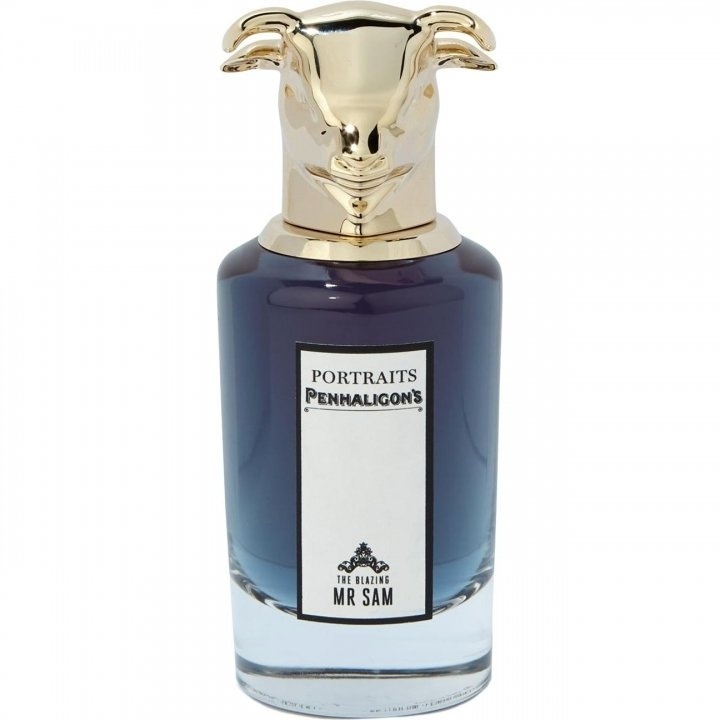 Not obtrusive, but the smell still hangs in the salon or in the suit of Mr. Sam. Saffron and cumin push themselves to the fore and overlap woody-oudy background. Cinnamon-vanilla sweetness can only partly restrain them.